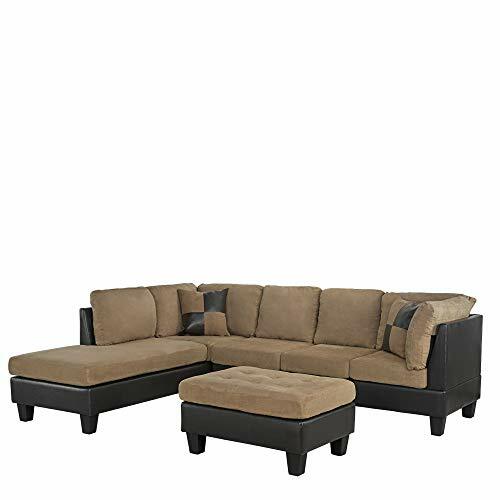 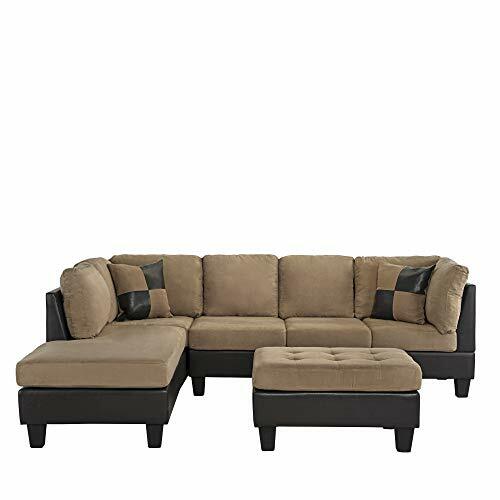 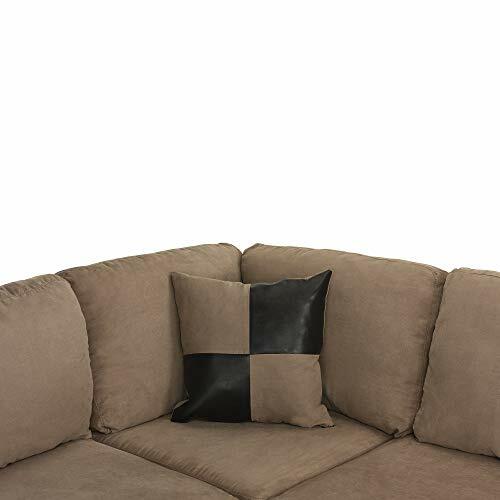 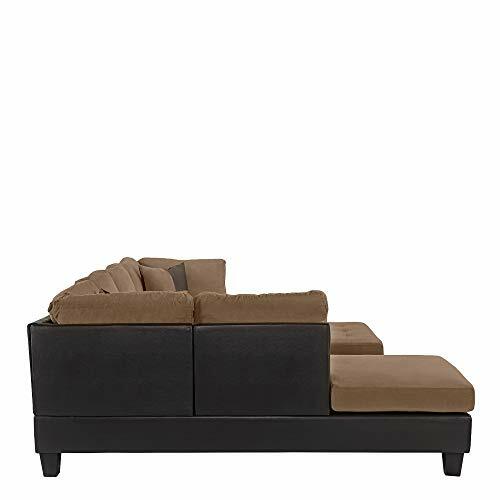 Spacious 3 Piece sectional sofa with REVERSIBLE chaise and ottoman, 3 Person sofa, oversize 38" x 26" ottoman and accent pillows. 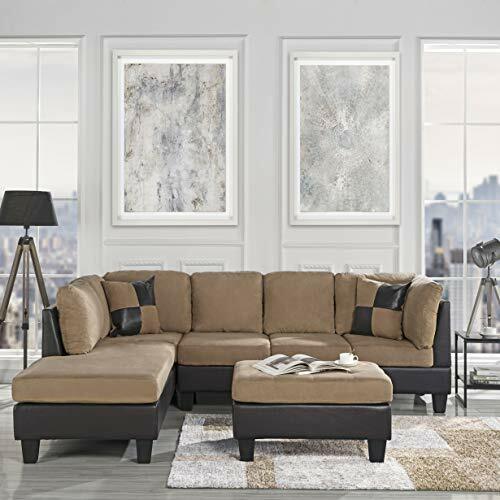 Hardwood frame covered in dark brown faux leather, cushions upholstered in plush microsuede finish. 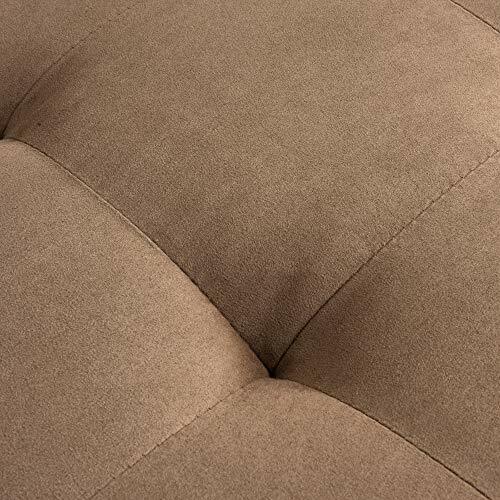 High quality poly fiber fill in seat and back cushions, inner spring coil seated area so added support and durability. 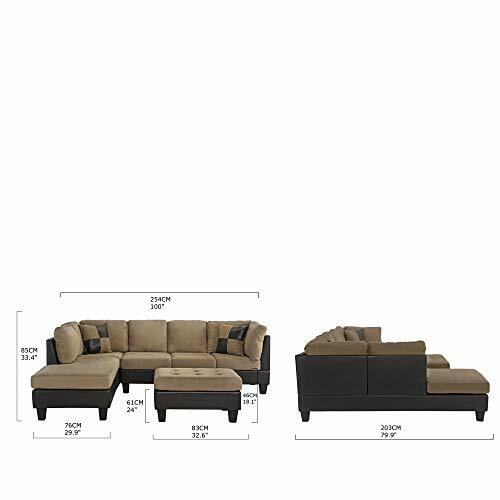 Comes with all hardware, tools and parts needed in a convenient home assembly kit.